Hello, everyone. I’ve been on a few wanders of late, most recently a trip up to Scotland for a Silent Eye weekend, a trip I’m still processing before writing it up on here. 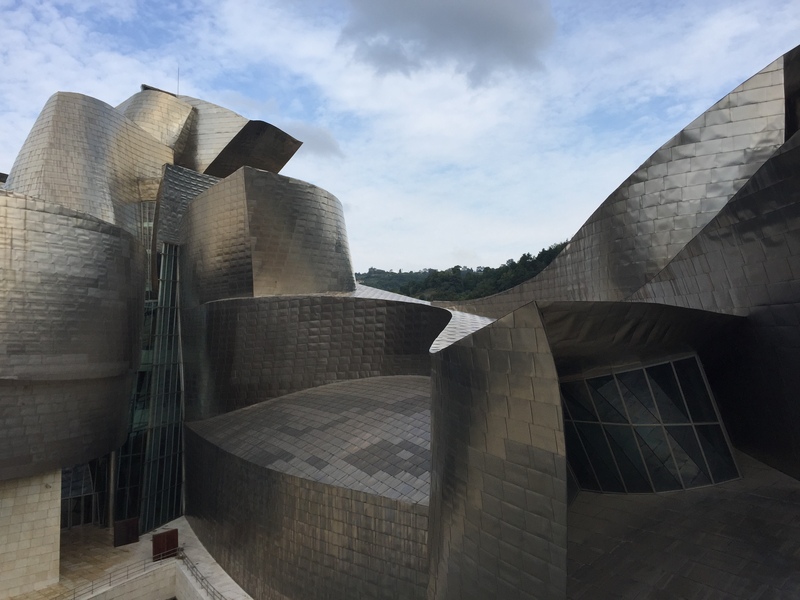 So this week I’ve decided to wander to a place I visited a few weeks earlier – the spectacular Guggenheim Museum in Bilbao, Spain. The first sight of the Museum is a moment of wonder, the kind you get when seeing iconic structures such as the Eiffel Tower or the Sydney Harbour Bridge for the first time. It is an instant of disconnect, when you wonder whether what you’re seeing is real. 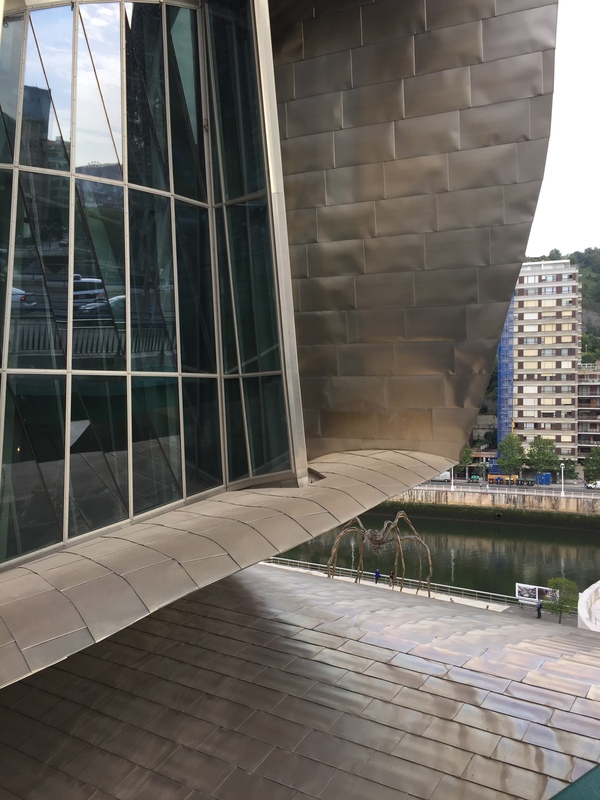 Perched on the edge of the river running through Bilbao, the building seems almost to float upon the water, like a magical ship or giant sea creature, metallic scales reflecting the sky. A museum of modern and contemporary art, the Guggenheim was designed by the architect Frank Gehry, known for his unique vision. 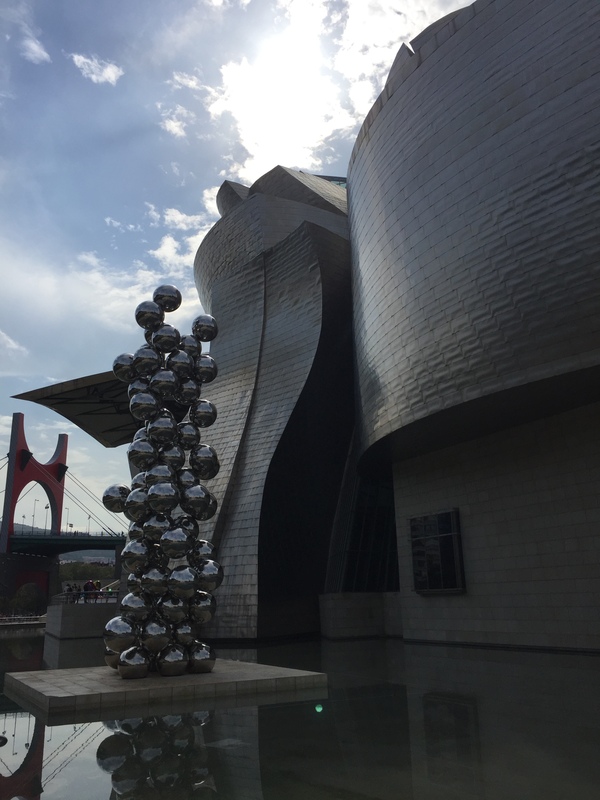 When you come into Bilbao from the east, as we did, the Museum is one of the first things you see, a tumbled cluster of gleaming shapes on the curving edge of the river. The museum was inaugurated almost exactly twenty years ago, on October 18th 1997. Prior to that, the riverbank was an industrial area, home to piles of curving steel and machinery, said to have partly influenced Gehry’s design. The architect said that ‘the randomness of the curves are designed to catch the light’ and they certainly do so, reflecting light and water and shade so that the angles constantly change, each step as you move around the building revealing a different viewpoint. I particularly liked how the walkway and reflecting pool are positioned to look, from some angles, as though the river runs up to the edge of the building. 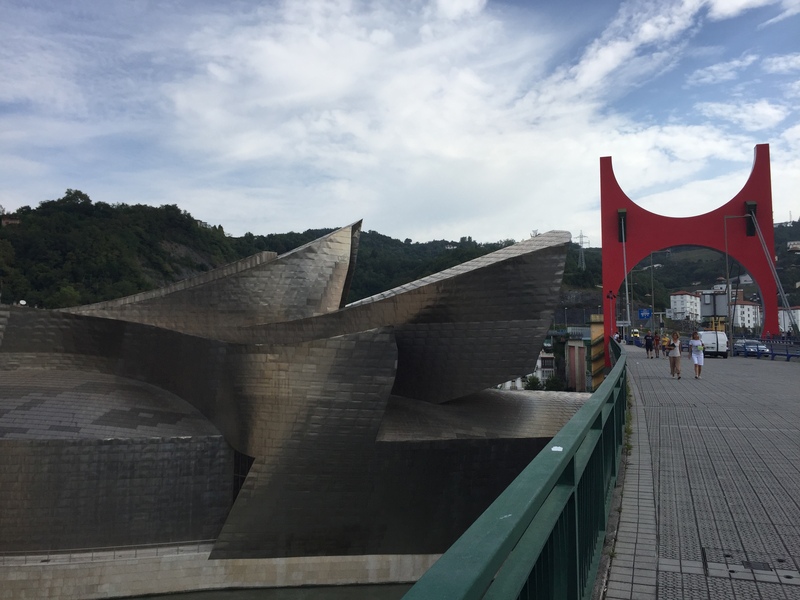 I also like the red archway that sits astride the road into Bilbao, bringing you immediately into the design. 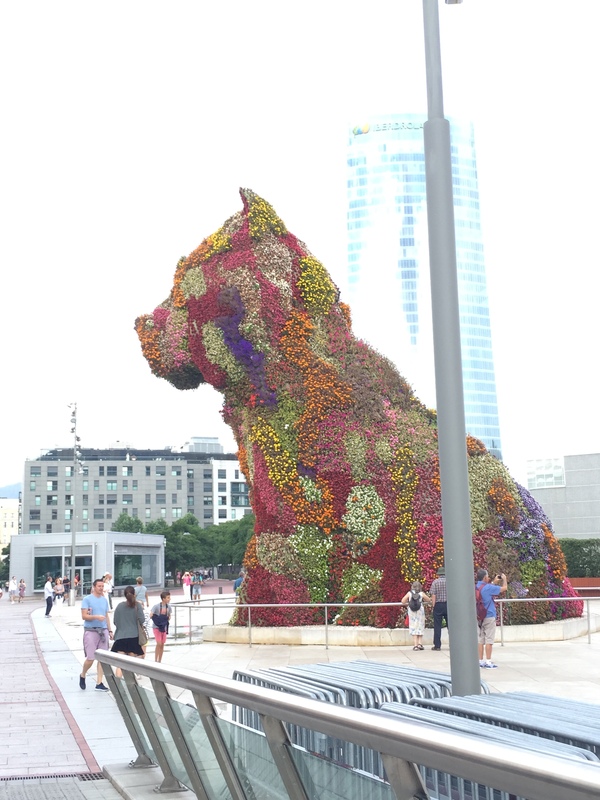 When we visited, there was a huge dog sculpture covered in real flowers at the front of the building, which we all loved. The spider sculpture, visible at the bottom right of my photo, is permanent and seems to be a popular image associated with the museum, if the tourist trinkets for sale nearby were any indication. Personally, I’m not a fan of spiders, especially huge ones like that! 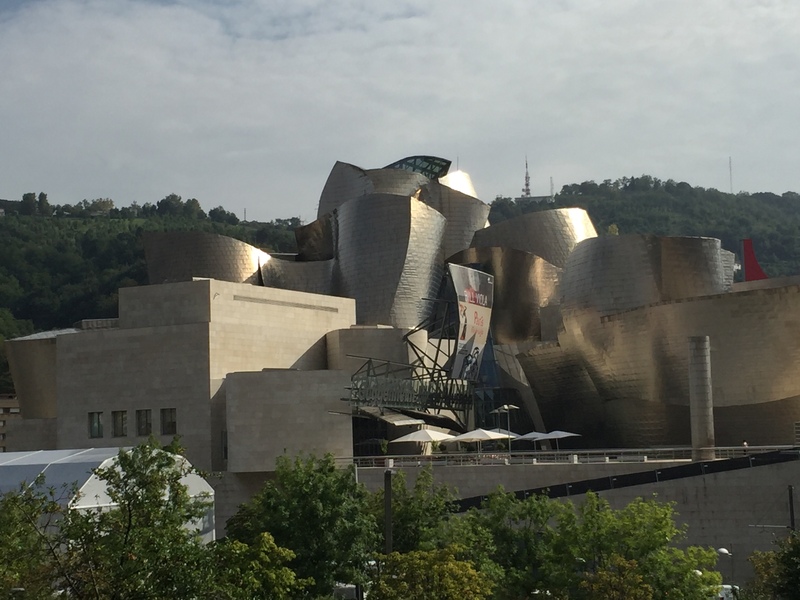 This is not my first Gehry – I visited the EMP in Seattle a couple of years ago, and also saw El Peix, a fish-shaped canopy on the beachfront in Barcelona. 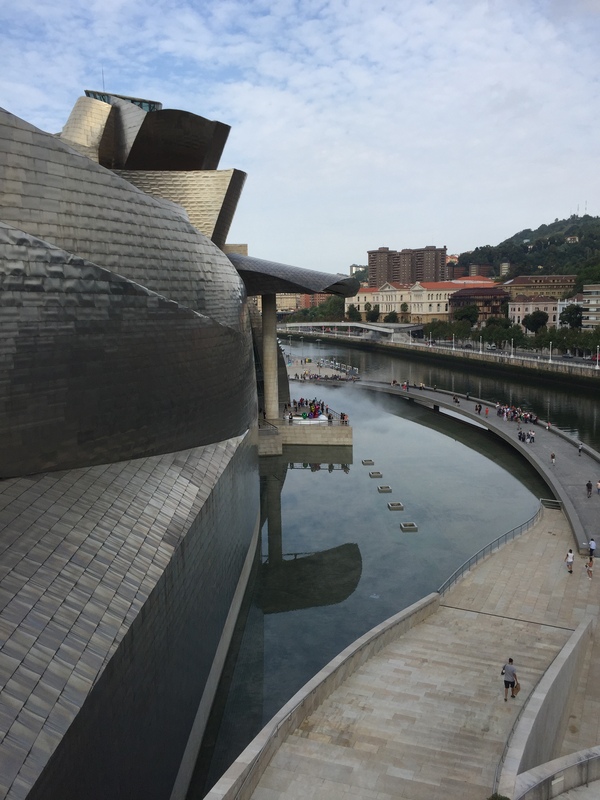 Like most of Gehry’s works, the Guggenheim is impressive, extraordinary in its complexity. We spent ages just walking around the outside, taking in the shapes, wondering at the mind that could create such wonders. 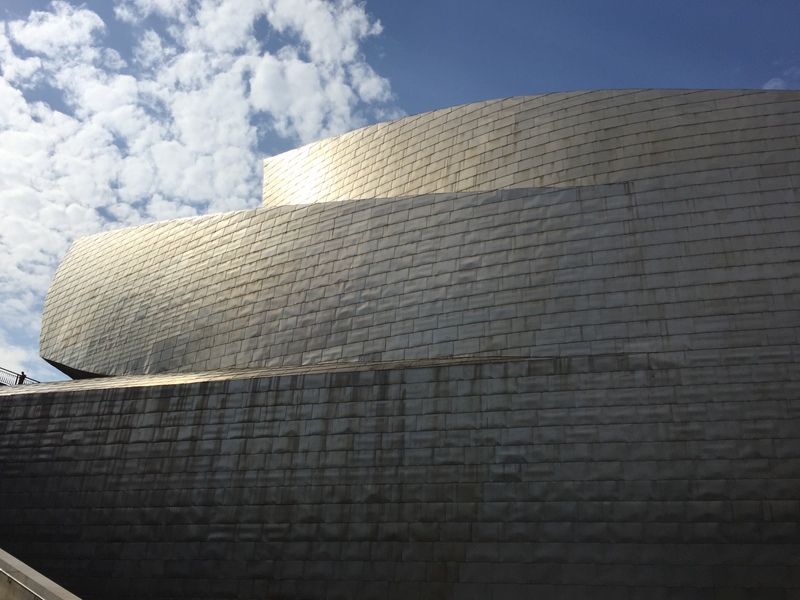 Gehry’s style of architecture has been described as ‘desconstructivism’ though Gehry himself says he does not associate with that movement. Post-modern it certainly is, form without any other function than to catch the light and beguile the eye. Clad in titanium, at times it appears silver, and at others gold. 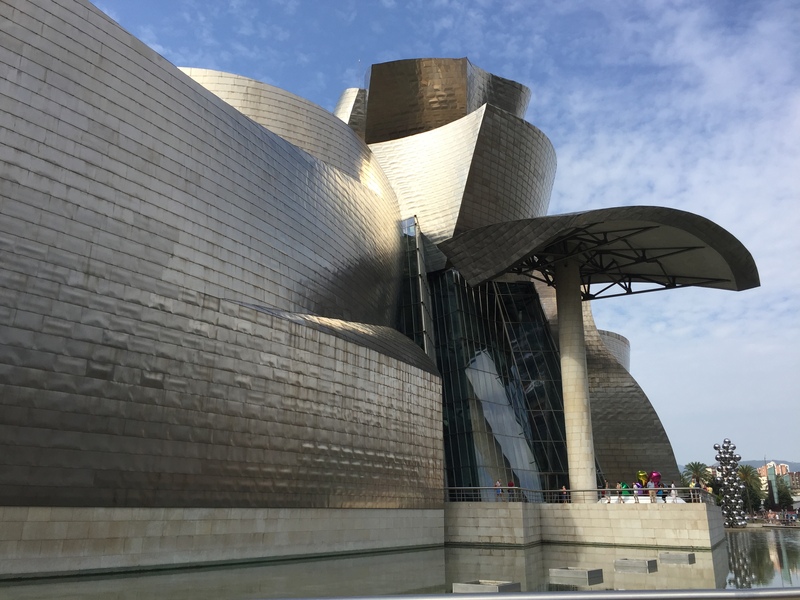 Extraordinarily for a building of this type, the Guggenheim was completed on time and on budget. Overall, it was a spectacular building to see and experience. 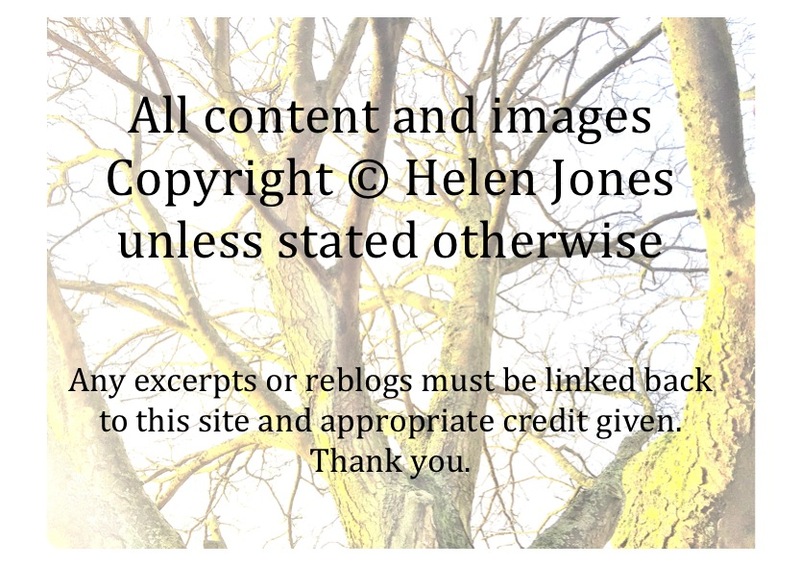 I took loads of photos, as you can imagine, and these are some of the ones I liked the most. Thanks for coming on another Wednesday Wander with me! See you next time. I hope the inside was just as engaging Helen. Thanks, David! Hugs to you too 🙂 I didn’t see much of the inside tbh, we were so taken with the outside. But the bits I saw, while lovely, didn’t match the drama of the exterior. I found the same thing at the EMP in Seattle as well. I’ve never been. Lovely to go wandering with you to all these amazing places. (Minus the spider sculpture, thank you.) 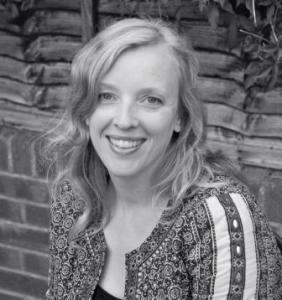 Looking forward to hearing about the Silent Eye weekend. Yeah, that’s a big no to the spider as well. An orb weaver landed on my hubby’s shirt yesterday as he was leaving for the day and you’d think we were hosting a gaggle of pre-teens at a boy band concert based on the screams that followed. I trust within was similarly as drawing in Helen. 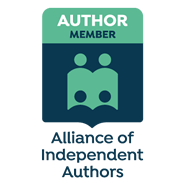 Thank you 🙂 Hugs to you too!